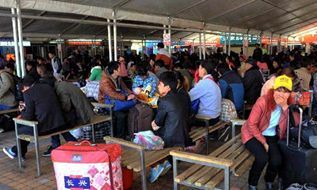 Twenty-nine civilians were confirmed dead and more than 130 others injured Saturday in a railway station attack in southwest Chinese city of Kunming, authorities said. Police have shot dead at least four attackers whose identities are yet to be confirmed and are hunting for the rest. 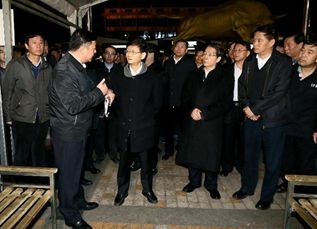 Top Chinese security official Meng Jianzhu Sunday morning visited injured civilians and families of the deceased in the terrorist attack that happened in the southwest Chinese city of Kunming on Saturday. Meng, head of the Commission for Political and Legal Affairs of the Communist Party of China Central Committee, arrived in Kunming at 5:30 a.m.and immediately went to the hospital. 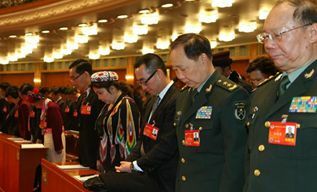 Members of the 12th National Committee of the Chinese People's Political Consultative Conference (CPPCC) pay silent tribute to the victims of the Saturday terrorist attack in southwestern city of Kunming, at the opening of the second session of the 12th National Committee of the CPPCC in Beijing, capital of China, March 3, 2014. 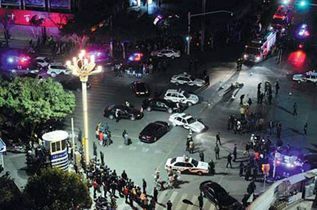 Order has been restored in Kunming, capital of southwest China's Yunnan Province, where a deadly terrorist attack on Saturday night left 29 dead and more than 130 injured. At the train station where the attacked happened, train arrivals resumed on Sunday after three trains with 3,000 passengers were affected on Saturday night, said station officials. 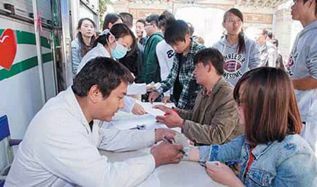 After a stabbing rampage cast a shadow over China's Kunming City, residents and people throughout the country have lamented the loss of lives while delivering support to those haunted by the horror. 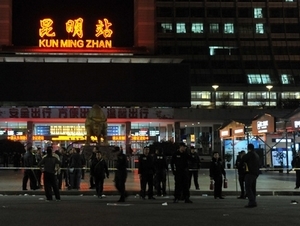 As the death toll from Saturday's terrorist attack at Kunming Railway Station in Yunnan province rose to 29 and the number of injured topped 130, the search for the perpetrators continued. 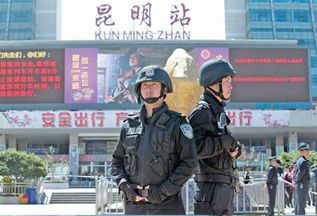 On Sunday, Kunming's government said evidence at the scene indicated that the attack was committed by terrorists from the Xinjiang Uygur autonomous region. 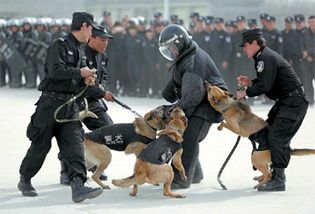 The three remaining suspects wanted in connection with Saturday's Kunming terrorist attack have been arrested, the Ministry of Public Security said on Monday, as a call was made for a national law to combat terrorism. Two days after the March 1 terrorist attack in Kunming, capital of Yunnan province, Liu Ersi wrote an e-mail to the principal of the School of Architecture, Design and Construction at the University of Greenwich in London. In his message, Liu suggested that a forthcoming lecture tour by academics from the British university should be deferred for safety reasons.